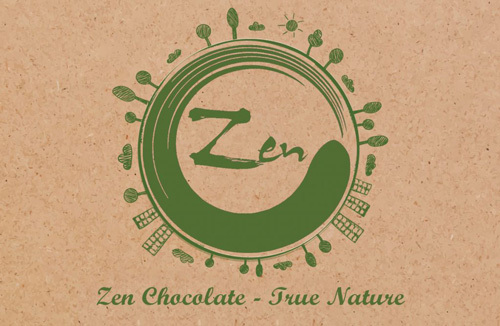 Zen chocolates are produced by the method of Japanese Zen. 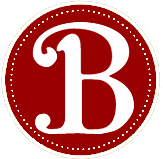 A modern technology refining bitter substances in high concentrations Trinitario cocoa is theobromine, C7H8N4O a chemical formula is an organic protein that gives a balance effect to the mind and body. Combined with magnesium available in cocoa beans this is a great natural prescription for anti-depression and enhance your general well being. 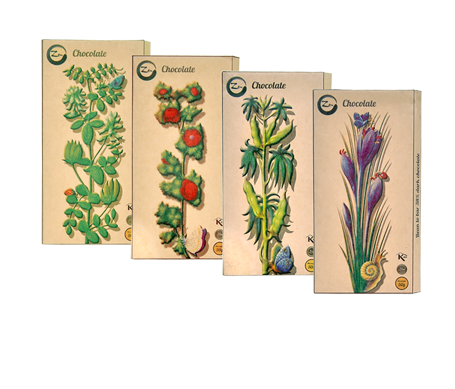 The Fermentation, Roasting and Conching are three most important factors which determine more than 90% of the final chocolate taste. 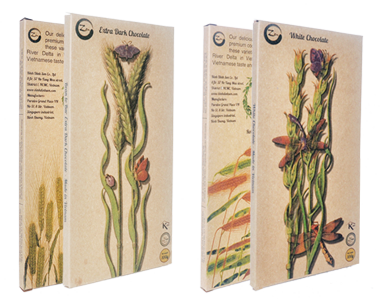 In fact, most of manufacturers these days have neglected the fermentation process – the preccedent stage for generating chocolate flavor – and put it all in the hands of farmers. 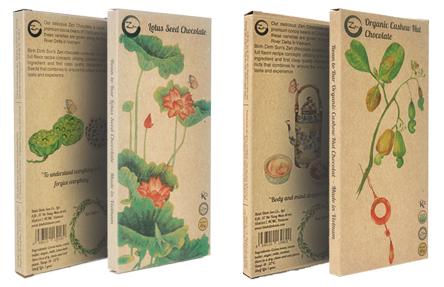 At Zen chocolate, we make a difference with the ” vertical integration model” and master of the chocolate making process, from the cocoa pod to the final chocolate in accordance to CACAO – TRACE standard.